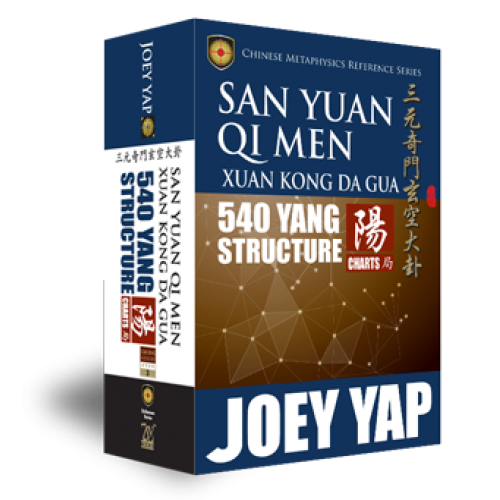 The San Yuan Qi Men Xuan Kong Da Gua 540 Yang Structure offers readers easy access to the essential components of the San Yuan Qi Men and Xuan Kong systems. 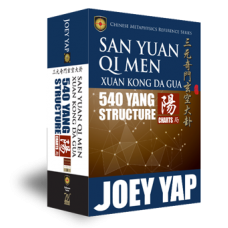 Not only will they learn about the theories of both disciplines but they will also be able to study all 540 Yang Structure charts in complete detail. 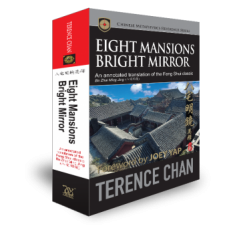 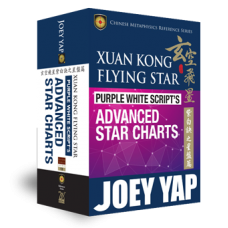 With the inclusion of both systems in the charts contained in this book, readers can quickly refer to their chosen chart and have all the information and references ready at the flip of a page. 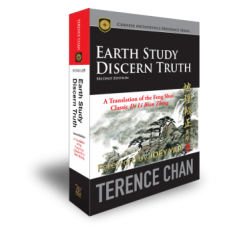 Learn about the San Yuan system and understanding the importance of observing the cycle of time, universe and space.